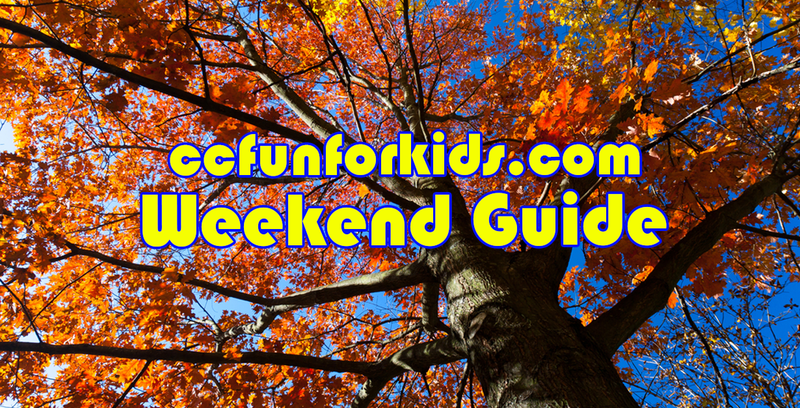 October is here already so get ready for weekends full of Fall Festivals and Halloween fun! Remember, some of these activities may require registration. Always check with the organizations for the most updated information or if you have any questions. We appreciate the shares and likes. If we're missing something, let us know! Compiling this information takes work, please credit or link back to Corpus Christi Fun for Kids when sharing. Coastal Bend Custom and Classic Car Show, Swap Meet and Food Truck Rally from 8 am to 4 pm All proceeds benefit local veterans and other community worthy causes. Cost: Free for the public. Celebrate National Fire Safety Month in our hands-on workshop where you and your child can build a model fireboat to put out shoreline or shipboard fires and transport emergency personnel and rescue workers. Once your firefighting vessel construction is complete, you and your hero can decorate it with paint and stickers and give it a name like the historically famous fireboats that precede your new firefighting craft. All Kids Workshop attendees must be accompanied by a parent or adult at all times. All kids get to keep their craft, receive a free certificate of achievement, a Workshop Apron, and a commemorative pin while supplies last. Owners Mike and Laura kindly open their farm to the community twice a year so you can learn about the alpacas and you also get the chance to buy some alpaca products! Celebrate National Mad Hatter Day with us. Join us for an elevenses (tea) party, including crafts, game and treats. Family Fun. 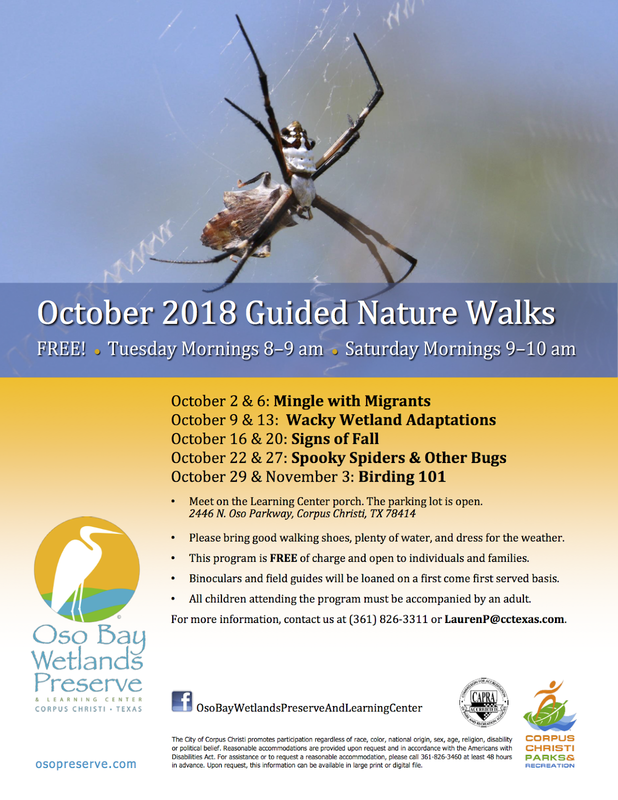 Special activities, experiments, or guests! All ages. HGTV's favorite twins have written a children's book! Drew and Jonathan think up big plans for even bigger projects, but will their plans go the way they hope? 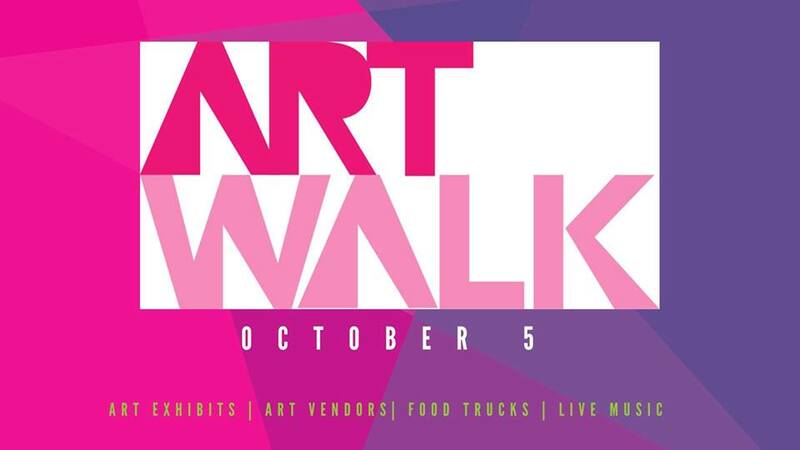 Food Trucks, Free Games, Pumpkin Patch, Free Inflatables and Music from 12-4:30 pm. 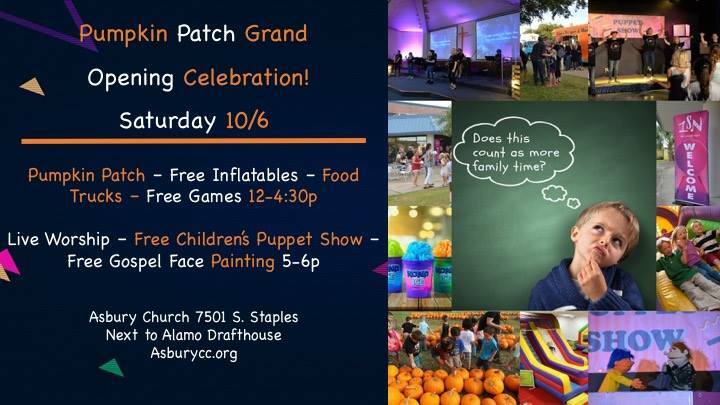 Live Worship with 1SN, Free Puppet Show, Free Gospel Face Painting from 5-6 pm. 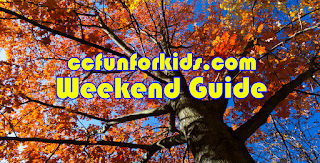 Outdoor fall festival that features, food, LIVE MUSIC, fun for all ages, and of course, lots and lots of BEER! Activities will include a Stein Holding Contest, a Lederhosen Contest, arts and crafts activities for the kids, and so much more! Bring your kids in store for fun activities, a special prize (with completed activity sheet) and discounts! 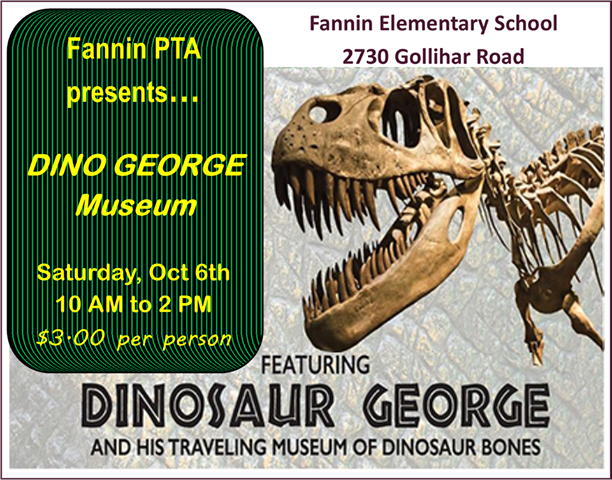 Event intended for children ages 5 – 11. Cost: Free, parent or guardian must remain on premises. One prize per child. While supplies last. 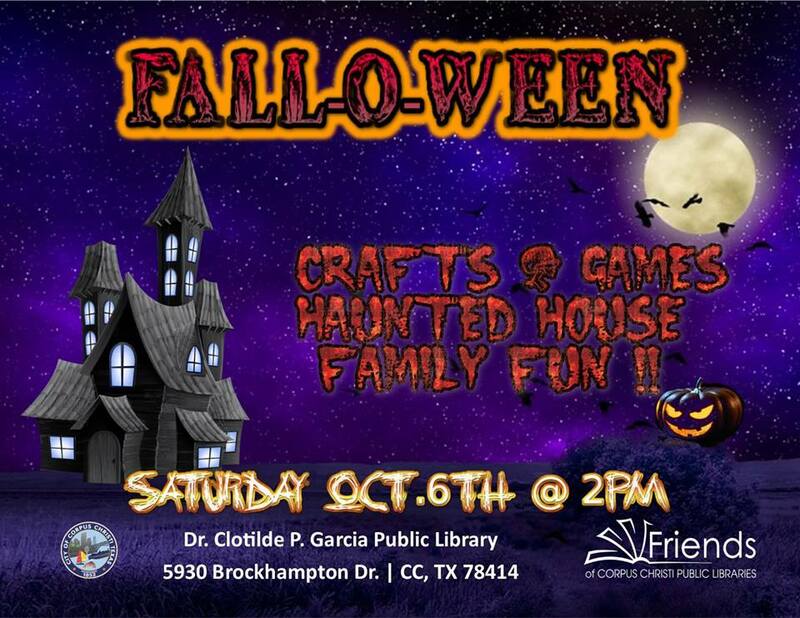 Join us for games, a haunted house, pumpkin giveaway, costumes & family fun! German Food and Drink. 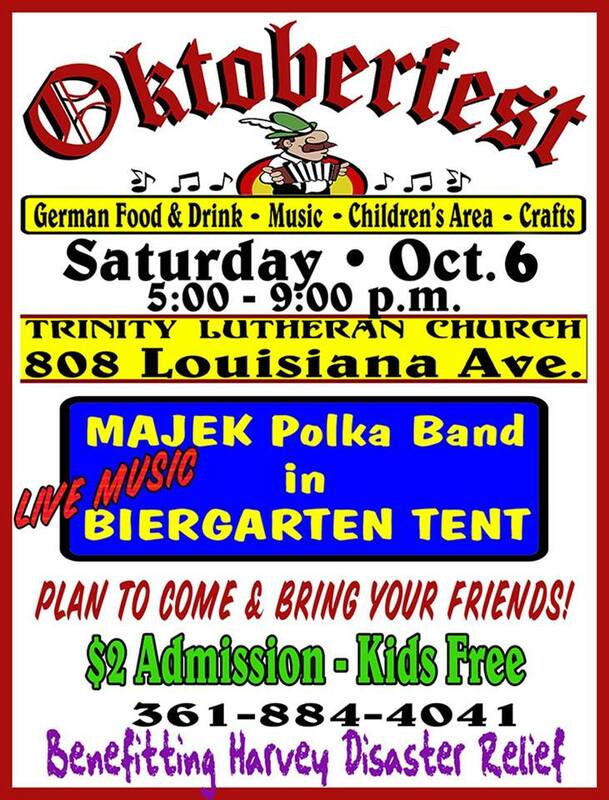 Live music - the Majek Polka Band will be playing in the big biergarten tent! 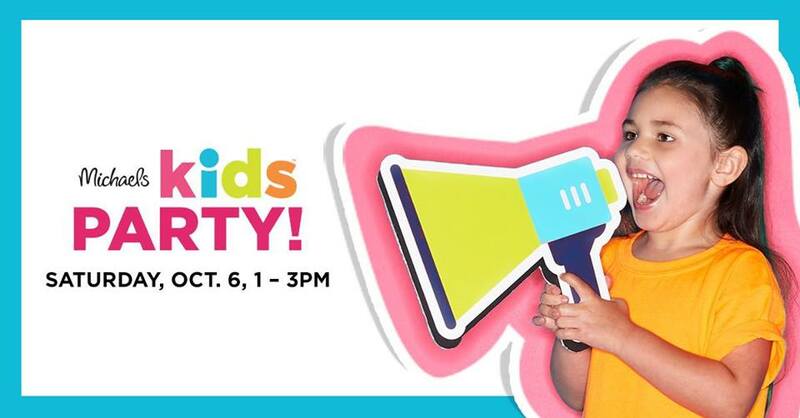 Kids area includes bounce house, kiddie train, face painting and games with prizes! All free for children under 12 accompanied by an adult. 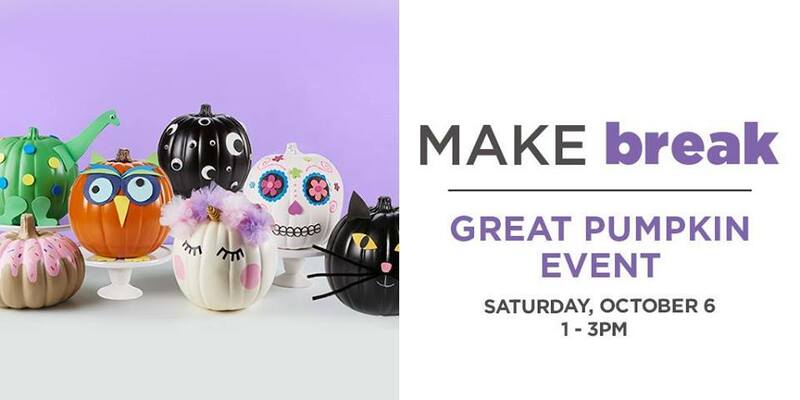 Craft and novelty booths! Wear your lederhosen, dirndls and Oktoberfest hats! Benefiting Harvey disaster relief. 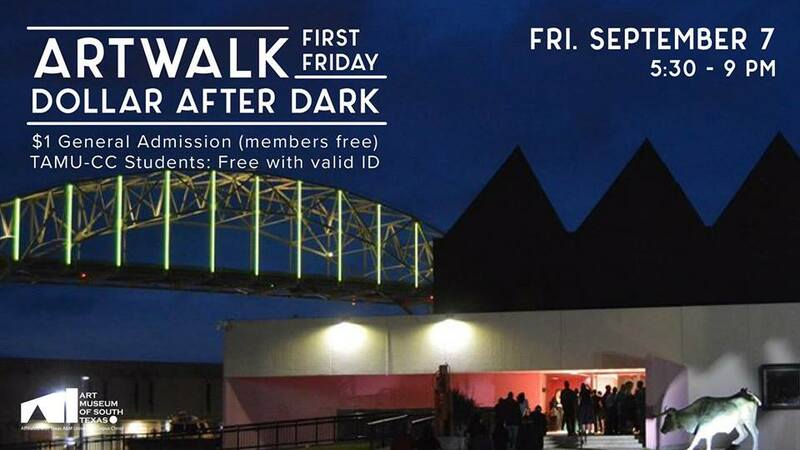 Cost: $2 adult admissions, kids under 12 are free with adult. $13 pre-sale food tickets include admission and German food plate. Schnitzel, German potato salad and sauerkraut. (Call the church office for pre-sale purchase 361-884-4041.) A la carte food booths include bratwurst, big yeasty pretzels, potato salad, desserts and German beer! 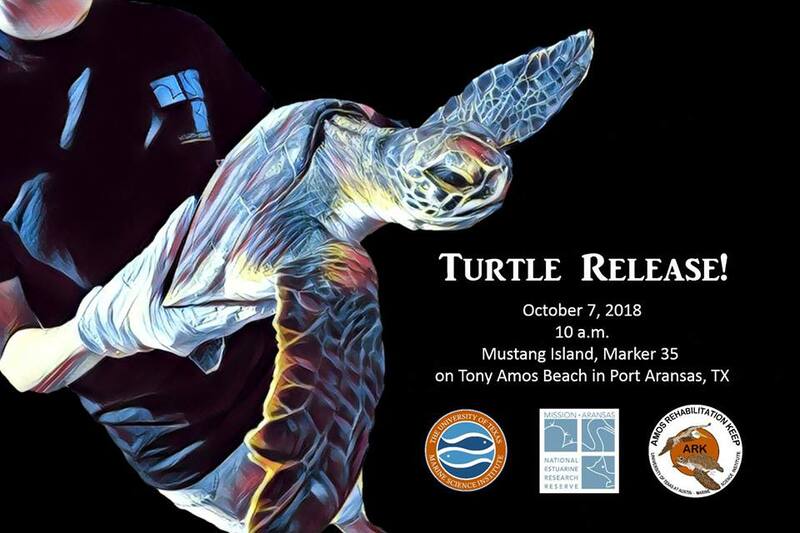 3 large sea turtles will be released back into the Gulf of Mexico. Tony Amos Beach at marker 35 on Mustang Island. From Access Road 1 in Port Aransas, drive south on the beach. Experience the Aquarium’s jungle featuring free-flying birds as well as aquatic exhibits featuring up-close encounters with sharks, dolphins, otters, alligators and coral reef fish, plus more than 460 other species. 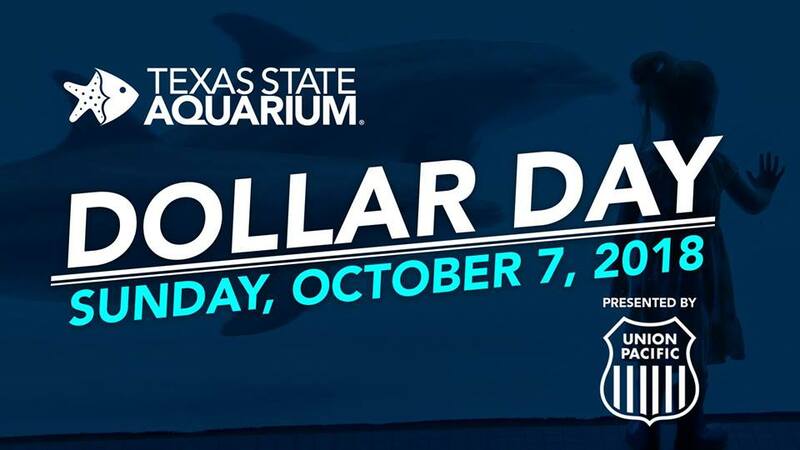 The Aquarium will also offer continuous screenings of “The Deep 4D: Mystery of the Ancient Amulet.” Due to the significant increase in attendance on Dollar Days, regular presentations and visitor programs will not be provided. Cost: $1. 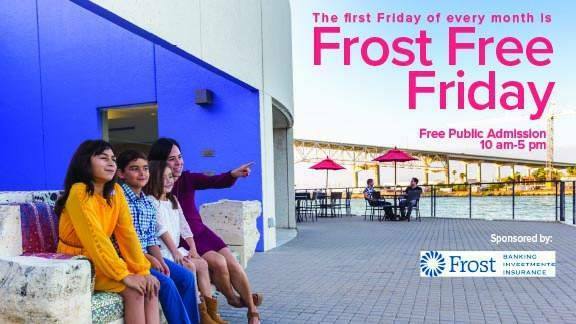 Children 2 and under will receive free admission, and parking is included with admission. Annual Pet Blessing service. They will gather on our Labyrinth for rayer, music, communion, and a celebration of all God's creatures great and small. Cost: Free. They will be collecting donations of dog & cat food, toys, and bedding for the Gulf Coast Humane Society. 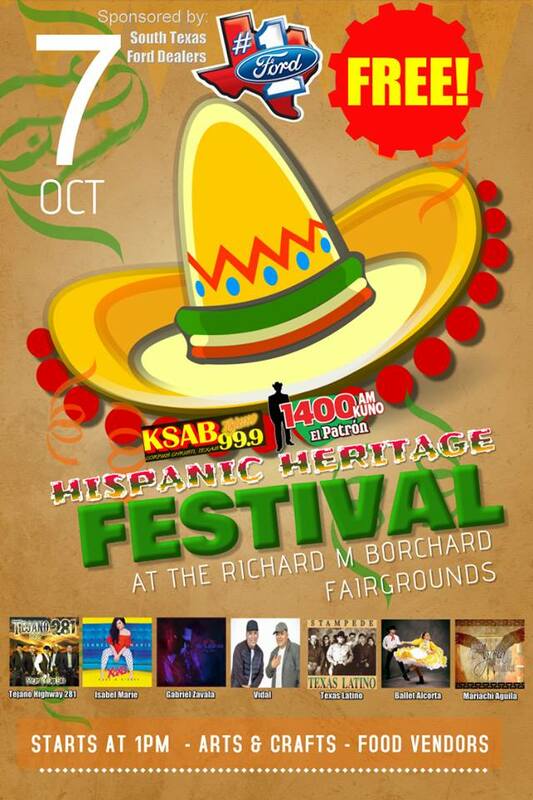 Vendors, live Music, food, and so much more! 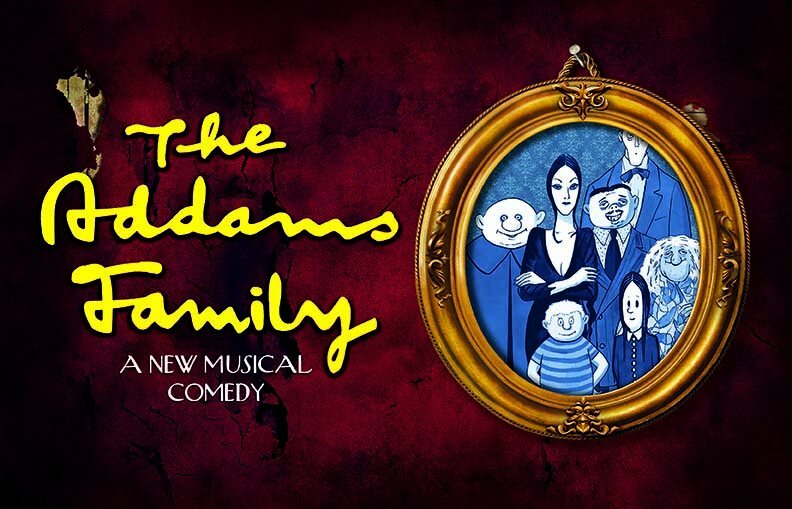 A fun full event for the entire family. 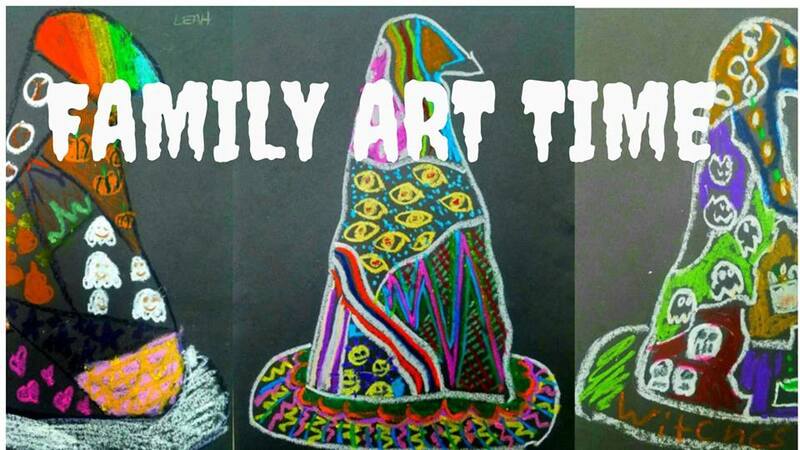 An afternoon of food, games and fun for the entire family! 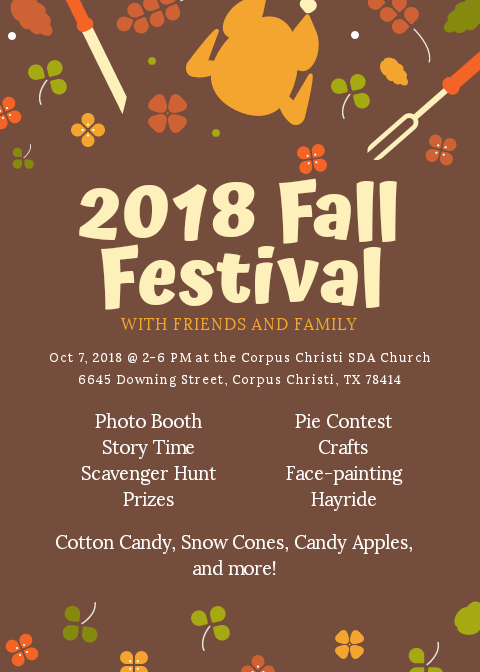 A variety of Fall-related activities including a Pie Contest, Story Time, Face-painting, Hayride, Photo Booth, Arts & Crafts, Scavenger Hunt, Prizes and festive food!